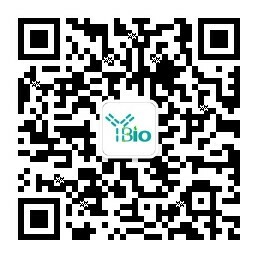 别 名 OL 64; OL-64; OL64; Serine (or cysteine) proteinase inhibitor clade A (alpha 1 antiproteinase antitrypsin) member 12 ; Serpin A12; Serpin A12 precursor; Serpin peptidase inhibitor clade A (alpha 1 antiproteinase antitrypsin) member 12; Serpina12; SPA12_HUMAN antibody Vaspin; Visceral adipose specific serpin; Visceral adipose tissue derived serine protease inhibitor; Visceral adipose tissue-derived serine protease inhibitor; Visceral adipose-specific serpin. May modulates insulin action conceivably only in the presence of its yet undefined target proteases in white adipose tissues. Serpins are the largest and most diverse family of protease inhibitors. Most serpins control proteolytic cascades, certain serpins do not inhibit enzymes, but instead perform diverse functions such as storage (ovalbumin, in egg white), hormone carriage proteins (thyroxine-binding globulin, cortisol-binding globulin) and tumor suppressor genes (maspin). Most inhibitory serpins target chymotrypsin-like serine proteases. These enzymes are defined by the presence of a nucleophilic serine residue in their catalytic site. Some serpins inhibit other classes of protease. A number of such serpins have been shown to target cysteine proteases. These enzymes differ from serine proteases in that they are defined by the presence of a nucleophilic cysteine residue, rather than a serine residue, in their catalytic site. SerpinA12, also known as OL-64, Visceral adipose tissue-derived serine protease inhibitor, Vaspin, Visceral adipose-specific serpin and SERPINA12, is a secreted protein which belongs to the serpin family. SerpinA12 / Vaspin is expressed in visceral adipose tissues. It may modulates insulin action conceivably only in the presence of its yet undefined target proteases in white adipose tissues. SerpinA12 / Vaspin may be the compensatory molecule in the pathogenesis of metabolic syndrome and SerpinA12 / Vaspin recombinant protein or vaspin-mimicking agents such as vaspin analogs, antibodies or small molecule agents may be the link to drug discovery and development. Expressed in visceral adipose tissues.